I know, she’s gorgeous on this cosmetic bag by Lorna-ka. Jealous of how badass my car looks? Get your own! More art by Lorna-ka; the first one is from Society6, like my little cosmetic bag above, and the second is from RedBubble. This beautiful sketch t-shirt you see above is naturally by Her Universe, but sold exclusively at ThinkGeek. Aaaaaand even more work by Lorna-ka, also from her Society6 and Redbubble accounts. And Ahsoka Tano was my first ever Cosplay at a comic convention, and I loved every second as being dressed as my hero. To honor Ahsoka on her anniversary, I’ve been watching some of my favorite episodes from Season 3 of Star Wars Rebels. If I had been home all day, I would have been watching several Clone Wars episodes, but I was out with friends and then family. But, in case you haven’t noticed, I treat most days as if it’s Ahsoka Tano Day. I can’t help that I adore her! 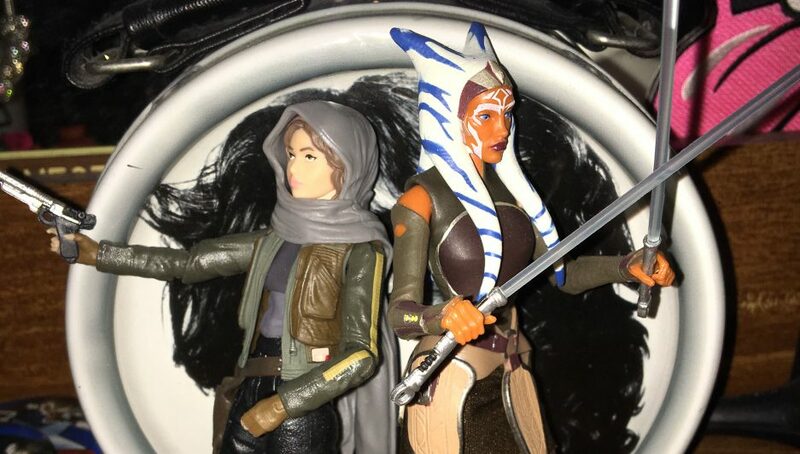 Strong and courageous characters like Ahsoka Tano give me the strength to be such a badass myself, that perhaps I can also be so strong and brave and save people. In this world of darkness, she is my shimmering light of hope.